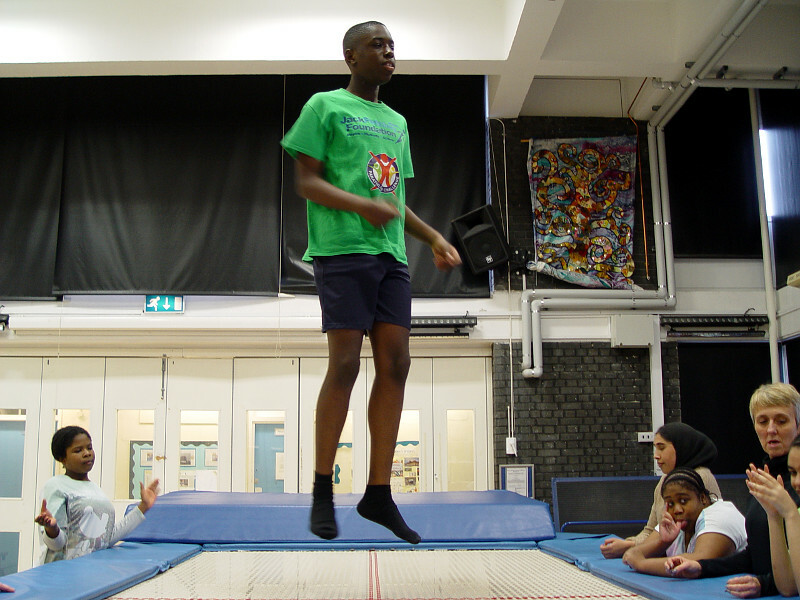 Class 9CM are gaining in confidence whilst using the Turney School trampoline. 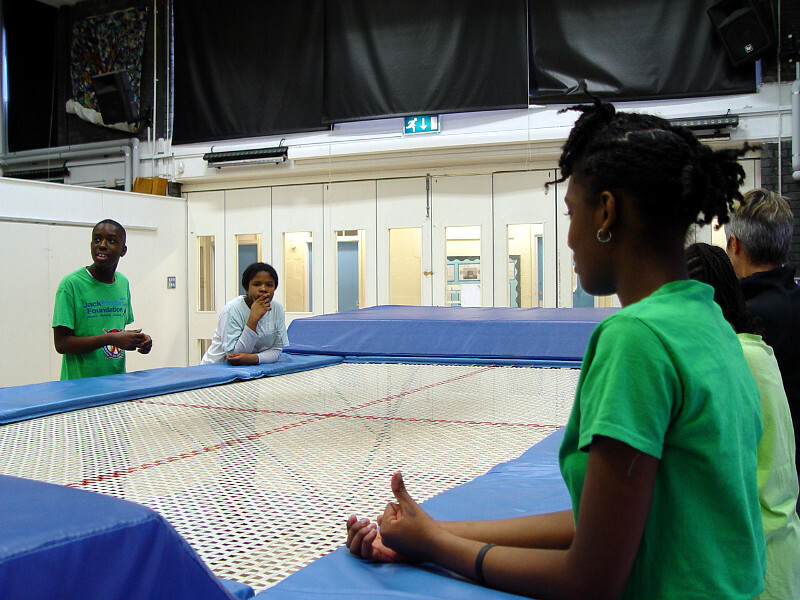 PE teacher MR Jones reminded the students that success on the trampoline requires careful listening. The students need to follow instructions if they want to stay safe and learn. 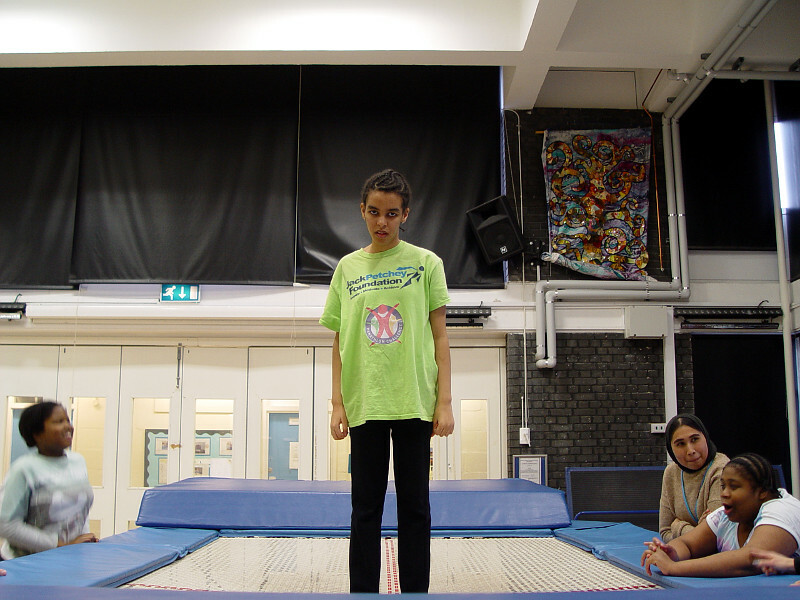 The class members have been gaining in confidence over recent weeks. 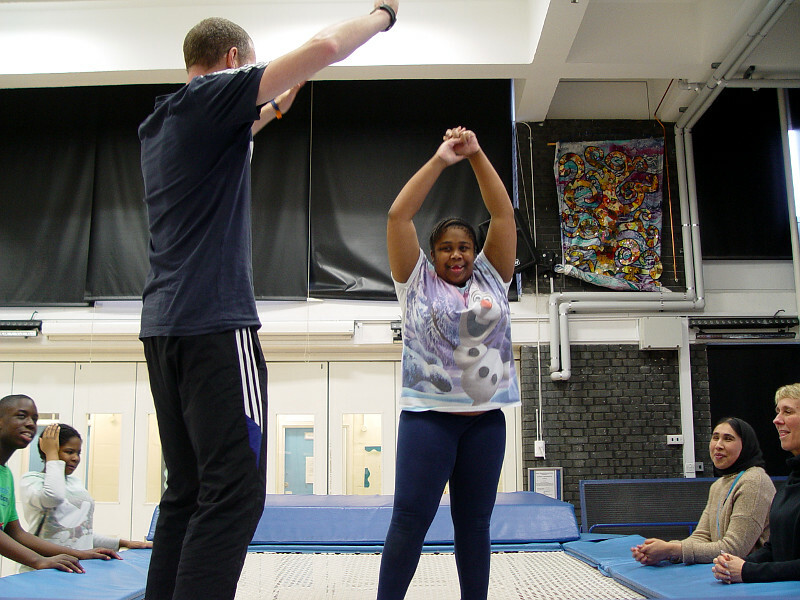 Most of the students can now put together a simple trampoline routine. 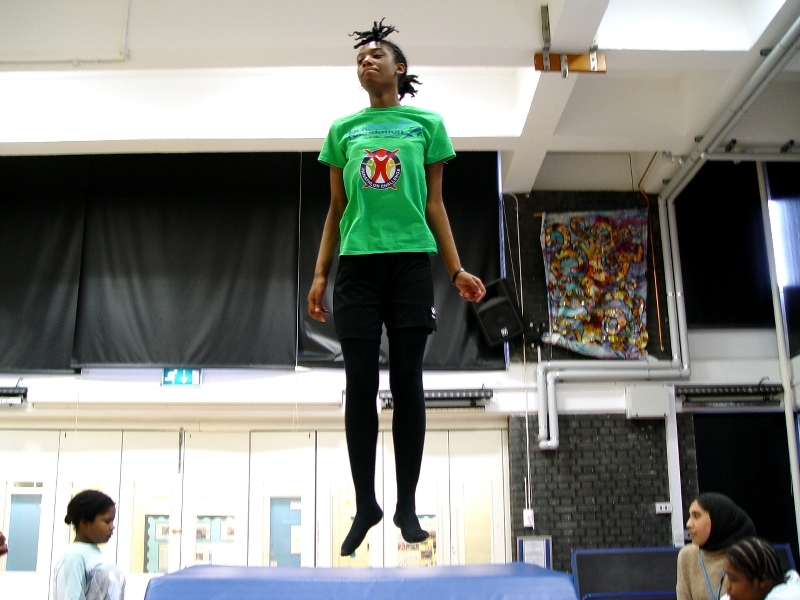 They have been able to show techniques such as tuck and star jumps, turning around and sitting down to bounce back up. The most important technique taught by Mr Jones is how to stop! The Class 9CM pupils have worked on bending their knees and putting their arms out to bring their movement to a stop. Each session is finished with the pupils discussing what they can do to further improve their skills.